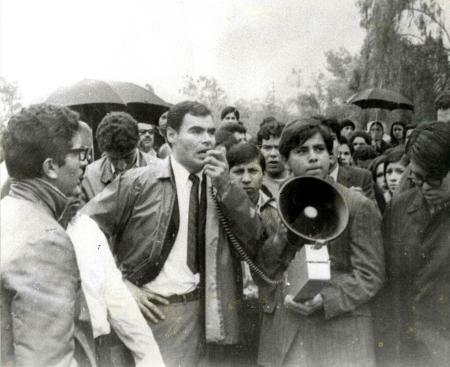 Haro pays tribute to his friend, mentor, and civil rights activist Sal Castro, who passed away April 15, 2013. Castro was 79. David O'Grady, a doctoral candidate in Cinema and Media Studies and the assistant editor of "Aztlán: A Journal of Chicano Studies," reviewed the video game "Gaucamelee" on the UCLA Game Lab blog. 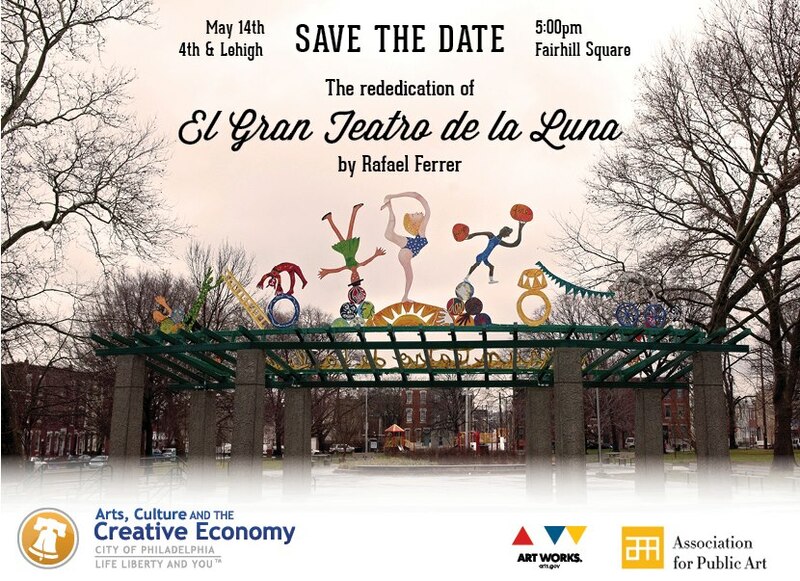 The restoration of Rafael Ferrer's "El Gran Teatro de la Luna" in Philadelphia's Fairhill Square is now complete. MEDIA: "Luxury, Interrupted at UCLA Chicano Studies Research Center Library"
The CSRC library exhibition "Ramiro Gomez: Luxury, Interrupted" was featured on the Mex and the City blog. On March 21, 2013, the Latinos & Economic Security (LES) research team composed of CSRC director Chon A. Noriega, Kathleen Wilber, Max Benavidez, and Zach Gassoumis, presented outcomes and policy recommendations based on of eight years of research and analysis at a symposium, "Aging in a Majority-Minority Nation: Interracial and Intergenerational Tensions & Opportunities," marking the 15th anniversary of the UCLA Center for Policy Research on Aging. MEDIA: "Building Bridges Between Mexican and Mexican American Art"
As an example of increased cultural exchange between U.S. and Mexico, the Los Angeles Times discussed the exhibition "Asco: Elite of the Obscure, A Retrospective (1972-1987)," now on view at MUAC Universidad Nacional Autónoma de México and the first large-scale exhibition of a Chicano collective to be presented in Mexico. 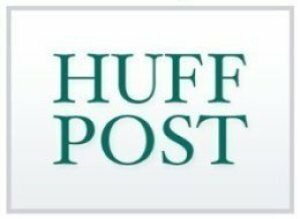 Two editorials by CSRC director Chon A. Noriega and published in the Huffington Post were reposted on the Mujeres Activas en Letras y Cambio Social (MALCS) / Women Active in Letters and Social Change blog. His piece on the omission of actress Lupe Ontiveros from the Oscars' "In Memoriam" presentation was declared by MALCS as a "must read." MEDIA: "Cecilia Preciaga Burciaga, Presente!" 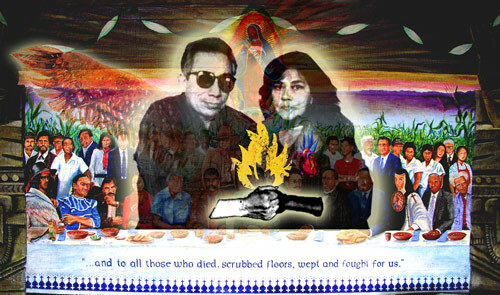 CSRC director Chon A. Noriega paid tribute to his mentor, the late Cecilia Preciaga Burciaga, on the Huffington Post. The CSRC has two Getty Multicultural Undergraduate Internship opportunities available this summer. The internships run Monday, June 10, through Friday, August 16, and each offers a stipend of $3,500. The deadline to apply is Friday, April 26, 5 p.m.